Among the more industrialized countries, Canada is in quite a unique situation. Canada is has one of the lowest cellphone penetration rates of about 70% (approximately 23.5 million subscribers). This leaves Canada as a market ripe for companies to make BIG profits. A good portion of this buying potential resides in Quebec, making this one of the most heated battlegrounds – if not the most heated battleground in Canada. In Quebec, as everywhere else in Canada, the big 3 dominate. But what makes Quebec at the forefront of change in the wireless landscape is a series of events. The auction generated $4 billion for the Government and left incumbents and new entrants at different ends of the spectrum, both figuratively and literally. Rogers, Bell and TELUS ended up with almost all of the 850/1900MHz bands while the new wireless companies ended up with most of the AWS aka. 1700MHz spectrum. This is important when selecting handsets. The second event that really shook up the wireless market in Quebec was the introduction of Bill 60, which in a nutshell brought very important changes; prices had to be as advertised (it’s now prohibited to hide fees from advertised prices), automatic contract renewal is now prohibited for terms greater than 60 days… and the most important change is to the Early Termination Fees. The ETF could no longer exceed the subsidy granted by the carrier on handsets and is reduced with every passing month of the customers contract. Before going into handsets (especially Smartphone exclusives) it’s important to understand how the spectrum auctions outcome has had important ramifications on the handsets that a carrier can offer. Given that Rogers, Bell and TELUS won the 850/1900MHz this meant that many HSPA handsets including the iPhone will not work with full 3G capabilities on the new entrants (Videotron, WIND, Public Mobile and Mobilicity) networks which are using the AWS 1700MHz spectrum. This in turn is somewhat of an artificial deterrent to customers wanting to switch from one of the big three to a new entrant as they might not be able to get the full services they are used to. One might ask, where does this leave the new entrants? There are many things the new entrants can do to remain competitive. Of course the first bill of order would be to find a suitable alternative offering to the iPhone. Since this article focuses on Quebec, Videotron strategy will be brought into focus. From their initial offering it’s clear they see Android, much like T-Mobile, Verizon and Sprint in the US, as the clear alternative to iPhone by nabbing the Nexus One. To keep building on their success Videotron, as well as entrants outside Quebec, must also broaden their offering to offer more of a device selection with other platforms such as BlackBerry and Windows Phone 7 lineup of phones (AWS variants being available as T-Mobile in the US uses AWS) and the tablets such as the Playbook and the Galaxy Tab. CDMA Android/Blackberry handsets can also be had by new entrant Public mobile once they start offering data services. Handsets aren’t the only part of the puzzle as plans need to be competitive as well. Videotron clearly offers some decent plans but nothing really that sets them too apart from the big three, unlike Wind and Mobilicity who are now offering $40 unlimited all included Voice/Text/Data plans. Hopefully when WIND makes its way to Quebec (with the purchase of frequencies in Quebec) those plans can also be brought to the table. Public Mobile has come out swinging in Quebec with a $35 unlimited Talk/Text plan which hopefully will turn into a $40 Voice/Text/Data plan like Mobilicity and WIND. This is not to say that the new competitors haven’t turned up the heat on the big players. In Quebec all big three and their sub-brands have started offering “Unlimited Quebec” plans (not including data unfortunately) around the $60 price point. This is still higher than the Videotron Unlimited and Unlimited + Messaging offers and far more than Public Mobile’s $35 Unlimited Plan. The subscriber numbers also paint the same picture, as Videotron stated an increase of 95,400 subscribers in Q3 alone, which should have been higher if it were not for smartphone shortages. Outside of Quebec the story is the same as new entrants have really started turning up the heat with WIND boasting 200,000 new subscribers by the end of the year and Mobilicity claiming 50,000 new subscribers in Q4 alone. It’s clear that the wireless landscape of Canada has drastically changed and will continue to change over the next few months/years, hopefully for the best as competitors grow and in the end as the saying goes competition is always good for the consumers. 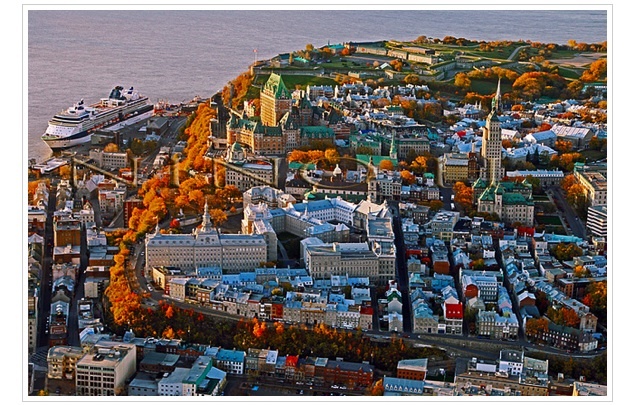 One need not look further than Quebec as a microcosm of this change.